How many times have those who really want to change their attitude and mental lifestyle asked themselves that question? How many times have we tried over and over to be a better person? Even many who do not know Jesus as their own personal Savior would like to be better than what they are. Unless we are a narcissist with an ego problem we want to be kinder, more loving, more patient … just a better person than what we see in the mirror. We cannot change ourselves, at least for the long-term. Why is that? Could it be because the change needs to take place in an area of our being that only God can ‘fix?’ Legitimate change must be from the heart of man, and only God can change a heart. Those without Jesus as Savior must come to Him first, in order for any change to be made that is worthwhile. Millions try to accomplish this on their own, or they serve the many gods of this world hoping for a change, but it never comes. All need to come to Jesus in child-like faith to be born again, trusting Him and Him only. Those who do that are on the road to an exciting new life. Peace fills the vacuum of fear, and fear is no more. Hate and indifference is replaced with Godly love. Does this happen overnight? No, not while in these earthly bodies, but the transformation begins immediately. Jesus takes up residence in the new born-again believer by His Spirit and strengthens our spirit. He nourishes it and guides it along the right path, and we grow a little each day. The change, the permanent change, is taking shape. One day when we’re with Him in Heaven, the change will be complete. What about Christians, true Christians that have become stale? Why aren’t they feeling the warmth of God’s presence? Maybe they have stepped away from the heat source. I was raised in an era that heat for our home in the winter months came from something called a fireplace. Generally speaking, fireplaces today are a luxury item. Back then they were a necessity of keeping warm or freezing to death. I remember many times I had to go out in the cold and refill the coal bucket with coal for the fireplace and the pot-bellied stove. One lesson I learned early on was this; when I was near the fire, I stayed warm, but when I moved away from the fire, I got cold. Hmmmm. Profound, isn’t it? Maybe to change our life for the better we just need to draw closer to the heat source, the fire. Many Christians today are wandering away from the heat source that their spirits need for warmth. Growth is stagnated because cold, especially extreme cold freezes everything into place. Read of the seven churches in Revelation chapters 2-3 and notice how many had grown cold in heart because they were away from the fire and embracing the cold flagpole of rebellion against God. How can we, as children of God who need a new direction in life, return to the warmth of our Savior’s embrace? I’ve said this a thousand times (figuratively), but I must repeat again that the Lord has given us very important tools for growth. They are (1) the Holy Spirit the moment we are saved, (2) His Word, the Bible, (3) prayer, and (4) the fellowship of other Christians. If we do not make use of these, we get cold, but when they are a serious part of our everyday life, we stay warm and cozy in His presence. Jesus made it clear in many Scripture passages that He would not leave us alone to flounder on our own. Following is just one example. So, can we change? Not on our own, but we can be changed by the working of Almighty God in our lives. We just need to do what He says and trust Him. Are you afraid of failing? Don’t be. I fail all the time, but our God never fails, and that, is what we must depend on. Call on Him, and He will make a change you’ll cherish forever. Our Founding Fathers were correct… yet again! The truth is out there, you just have to be open to it, and it may be a little harder to find these days with the state of our media. I try to keep politics out of this blog but when I saw this article I just had to share as it is the plain truth. I do not know about you but I get so frustrated these days by people putting down and name calling on our founding fathers and the republic they installed for us. I am absolutely certain it was God inspired and has since its inception allowed us the freedom to spread His word and values to many world-wide. It has been a light in this dark world for a long time but has started to flicker lately. Recently, what has gotten under my skin a little is the criticism of the electoral college system we have in place. It is such an important part of our republic system and something that tends to be hard to understand or explain. The article below does such an amazing job showing why it is needed that I had to share with all of you. It worked for us as a nation, yet again, and the truth of why is explained below. Enjoy! Shocked and appalled by the prospect of a Donald Trump presidency, some supporters of Hillary Clinton have turned to minimizing and even delegitimizing Trump’s election. In an era of severe political polarization, in an election with two candidates seen from the outset in highly unfavorable terms, after the most brutal campaign in modern history, and with an outcome that astonished just about everyone, these reactions are understandable, but wrong. Many die-hard Clinton supporters cannot bring themselves to believe their candidate could lose to Donald Trump. They think: How could such a crude and inept con man be elected president? Even after it has happened, it is unthinkable, a nightmare. So, the election must not have been fair. Those on the fringe raise the specter of diabolical Russians hacking away at our democracy. More grounded Clintonians have less malevolent boogeymen — our Founding Fathers. As they see it, the election’s outcome should be blamed on a dysfunctional and archaic electoral vote system. Hillary won the national popular vote. She should be president. It is as simple as that. The Electoral College should go the way of Trump University. They are right about one thing: Hillary did win the national popular vote. As votes continued to trickle in three weeks after Election Day, Clinton received 50.9% of the two-party vote to 49.1% for Trump. With about 135 million votes counted, Clinton has 2.3 million more votes than Trump. Yet Clinton has only 232 electoral votes (in 20 states plus Washington, D.C.) to Trump’s 306 (in 30 states plus one from Maine), making him the president-elect. So Trump’s election without a popular-vote plurality is regarded as an injustice. Some Democrats claim a moral victory as victims of an electoral vote system that once again horribly “misfired.” Their claim, however, neglects two facts. First, had the election been conducted with rules awarding the presidency to the popular-vote winner, the candidates and many voters quite probably would have acted very differently and the popular vote would not have been the same. Trump and Clinton would have campaigned in the “safe” states. Potential voters in those states would have felt more pressure to turn out and to vote for “the lesser of two evils” and not to waste their votes on third-party candidates. Some additional Clinton voters would probably have shown up, but gains on the Trump side would probably have been larger as more reluctant Republicans would have been pushed to return to the fold, particularly in big blue states like California, New York, and Illinois. In short, a comparison of the national popular vote as cast and the electoral vote division is no simple matter. This is particularly true in our age of pervasive polling in which people should have a good idea about whether they live in a state where their presidential vote might make a difference. Second, Clinton’s 2.3-million-popular-vote plurality over Trump depends on the votes in a single state: California. Clinton has more than a 4-million-vote plurality over Trump there. In the other 49 states plus the District of Columbia, Trump actually has a 1.7-million-popular-vote plurality over Clinton. So California single-handedly turns a Trump plurality into a Clinton plurality. The electoral vote system in 2016 (as in 2000, when George W. Bush became president despite losing the national popular vote) functioned as its defenders have long claimed. It prevented a single region (in this instance, a single state) from overruling the verdict of the more populous and diverse nation. Donald Trump’s election is difficult for many Americans to accept, but there is no good reason to question its democratic legitimacy. For better or worse, Trump won the presidency by constitutional and sensible democratic rules that guided both campaigns and were known to any politically conscious citizen. He also won the national popular vote cast outside of the single state of California. Moreover, Clinton won all of California’s 55 electoral votes despite the fact that 4.3 million of the state’s voters voted for Trump. That big winner-take-all advantage for California’s Democrats and Clinton was certainly felt, but it wasn’t enough to override her losses in many other states. Under our electoral vote system, American voters elected a national president, not California’s choice. It is in the nation’s interest for Democratic Party’s leaders and for Clinton voters to fully recognize the legitimacy of the election as they had urged Trump to do after the third presidential debate. The Electoral College system worked as it should. It did not “misfire.” The election’s outcomes were ultimately about what Americans wanted and what they did not want—not about electoral mechanics. James E. Campbell is a UB Distinguished Professor of Political Science at the University at Buffalo, SUNY, and is the author of “Polarized: Making Sense of a Divided America”. 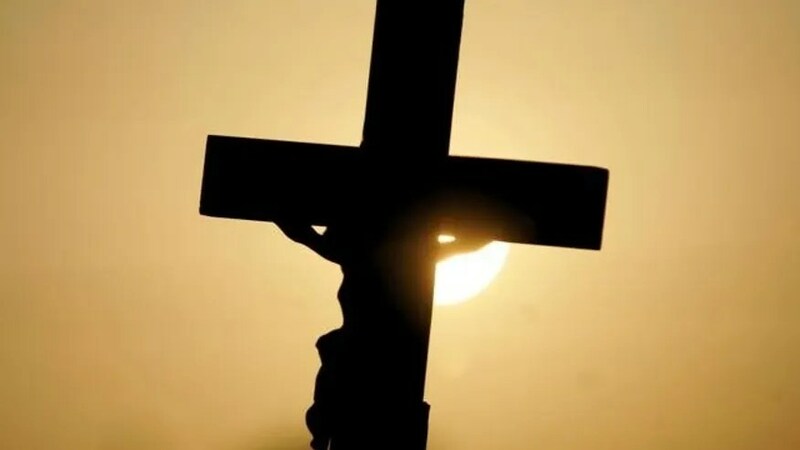 This subtle below the radar war on Christianity and freedom to express our Christian views is in some ways so much more dangerous and evil then the blatant and shocking images we see of our brothers and sisters in Christ being persecuted and killed across the middle east. It is more evil because it lets so many of us continue to sleep and remain ignorant, willfully or un-willfully, which is a death sentence in and of itself for some, for as the hour grows late, chances to receive Christ are measured as well for the non-believers. The faith and belief is so strong in our foreign brothers and sisters in Christ. And yet we are allowed to slumber, drunk on what this world has to offer, transfixed on the trivial when there is work to be done for Christ. I too struggle with this and fight my battles daily to take up my cross for Christ, being unashamed of the Gospel. We need to wake up. Christ warned us of the hazards of the night watchman falling asleep while on watch or getting distracted with the things of this world. Ask yourself this simple question that I ask myself each day: Are you of this world, or just passing through this world? Said another way: Are we assimilated to this world or are we just occupying until his imminent return? Some days I like my answer to that question, some days I do not. But keep up the fight brothers and sisters, and help wake up those around us. I so deeply appreciate brother Todd Starnes for doing his part to keep us aware and alert. Donald Trump may be the next president of the United States but the war on religious liberty rages on. The other day I received word that Connecticut’s openly gay comptroller is targeting American Family Association, one of the nation’s most prominent and respected Christian ministries. He specifically mentioned AFA’s petition to boycott Target over its transgender bathroom policies, and ministry statements regarding traditional marriage. If Lembo follows through on his threats, it would mean state employees would not be able to contribute to AFA through the program, AFA president Tim Wildmon says. AFA general counsel Abraham Hamilton III, minced no words in his interpretation of the state comptroller’s investigation. “What’s being foisted upon the American Family Association is the latest iteration of ‘If you don’t adhere to the nouveaux orthodoxy of the day – which is the sexual deviancy agenda – then you must be castigated and expelled from public life,‘” he tells OneNewsNow. First Liberty Institute attorney Hiram Sasser accused Lembo of abusing the power of his office. And to be perfectly blunt, these types of attacks by far-left bureaucrats are why Donald Trump won the presidency. Todd Starnes is host of Fox News & Commentary, heard on hundreds of radio stations. His latest book is “God Less America: Real Stories From the Front Lines of the Attack on Traditional Values.” Follow Todd on Twitter @ToddStarnes and find him on Facebook. Does it feel like we keep inching toward fulfillment of God’s word? It does to me and I think to anyone else that studies prophecy, God’s word, as well. It is pretty amazing that there was already a law on the books that allowed for the “involuntary” implanting of a tracking device into individuals at the Attorney Generals direction. Doesn’t it make you stop and think with all the laws on the books, what could be lying dormant? What makes this law so dangerous is the human minds ability to rationalize any situation to being just in his own eyes. Our society is in such an “ends justify the means” mentality right now that this is a very slippery slope. Given the right crisis, all bets are off. The good news is that God tells his followers we will not have to endure this as it will be enacted by the man of lawlessness after we have been raptured to be with our Lord and Savior. The hour is late for this world. Rep. Chris Smith (R., N.J.), who chairs the Congressional Autism Caucus and the Alzheimer’s Disease Task Force, introduced a bill called Kevin and Avonte’s Law, otherwise known as H.R. 4919, in an attempt to prevent these types of accidents from happening. The legislation would permit the Justice Department to award grants to law enforcement agencies and non-profits for training and tracking devices to find individuals with autism or seniors with Alzheimer’s who have wandered away. The bill would reauthorize the Missing Alzheimer’s Disease Patient Alert Program for five years and annually fund it for $2 million. The program would be expanded to include children with autism and renamed as the Missing Americans Alert Program. The bill has garnered the support of Democrats who say it would promote public safety and address the critical need of being able to locate these individuals. However, some are concerned the measure goes too far. The bill’s original language authorized the Attorney General to insert tracking chips into individuals involuntarily. “It is almost too absurd to believe that it is true, but the House Judiciary Committee is considering H.R. 4919 that would allow for the Attorney General to authorize tracking chips to be inserted involuntarily into people who are incapacitated with Alzheimer’s and other fatal dementias,” said Rick Manning, the president of Americans for Limited Government, at the time. According to a staffer who is familiar with the legislation, the language in the bill has been changed to ensure that tracking devices are not invasive or permanent, and would be voluntary. The government would also be prevented from making a database. The attorney general would still be able to decide who could receive these tracking devices and would have access to the data. “The legislation still represents vast overreach by the federal government as none of this is necessary, when individuals, families and doctors can decide to use such non-invasive products on their own, like Angel Sense, under individual, limited circumstances when it is medically necessary to track patients who many become lost due to a lack of mental capacity,” Romano said.